"It began, as many misadventures do, innocently enough. I had baked a loaf of bread. A simple, honest bread made from the best of simple, honest ingredients. Nonetheless, several dinner guests declined the bread. My friends, it turned out, were boycotting gluten. Hadn’t I heard? Gluten was the new great Satan. It was as if I were offering cocktails of Red Dye No. 2 served with asbestos straws in leaded crystal tumblers. I had misguidedly thought that homemade bread had placed me in the vanguard of healthy living. Apparently I was wrong. I’d inadvertently played into the hands of the industrial baking complex and their evil agenda. This led me to an inquiry into the gluten gripe, that led to poking about the subject of commercial baking, that led to examining the GMO debacle that deposited me on a sofa opposite Dr. William Davis, author of the massively bestselling book, Wheat Belly, and now the Wheat Belly Cookbook. The simple loaf of bread quickly became a can of worms. Food, it turns out, is really complicated these days. Are grains helpful or harmful to our health and our waistline? Last week we took a look at some of the nutritional pluses and minuses that come with eating whole grains, as well as some of the effects of whole versus refined grains on our health. This week, we’ll take a closer look at the role that grains, and especially gluten, play (or don’t play) in weight loss. When it comes to weight loss, gluten-free diets are all the rage. 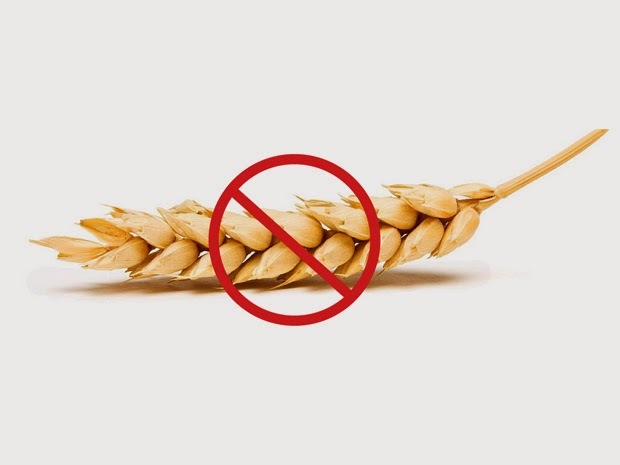 Unfortunately, despite the claims that gluten, a protein found in wheat, barley, and rye foods promotes weight gain, there are no published clinical trials to date comparing a gluten-free versus gluten-containing diets for weight loss. We do, however, have data on gluten-free diets for those with celiac disease, an auto-immune condition whereby the small intestine is damaged by exposure to gluten, and the news might surprise you: patients with celiac disease actually tend to have higher body mass indexes (BMIs, or a measure of height versus weight) than those without the disease. Where to begin? It turns out that bread isn’t what it used to be because flour isn’t what it used to be because wheat isn’t what it used to be. Historically, bread is made from four ingredients: Flour, water, salt and yeast. Bread is so natural, that by combining just two of these ingredients — flour and water — bread will sometimes make itself. Most people buy their bread off a grocery store shelf. Mass produced store-bought bread is delightfully squishy, uniform and imperishable. Bread needs time to rise. Time is money so industrial bakers add enzymes to hasten this process. People like certain appearances so various colourants are added to appease that aesthetic. The issue of “fresh” is challenged as bread now has to travel great distances to market, so preservatives are added. The humble loaf of bread thus morphs into something much more complex. Denatured is the word that crops up time and time again when contemporary wheat flour is mentioned. It used to be that your bag of all-purpose flour was flecked with brown pips — the germ of the wheat. That’s milled out now as wheat germ goes rancid quickly. What do they do with the wheat germ? Millers sell it to vitamin manufacturers who sell it back to us as Vitamin E. Go figure. There is, as they say, more grist for this mill but we need to move along. The core issue here is with wheat. Yes, those amber waves of grain that comprise the backbone of contemporary agriculture are where things gets really complicated. What we call wheat is a distant relative to what our grandparents called wheat. I’m going to hazard to say that there was no nefarious agenda to transform wheat into the Franken-grain many believe it’s become. Instead, it appears that a series of well-intentioned adjustments were made to address world hunger. If we could increase the yield per acre of wheat, fewer people might starve to death. A noble objective, no? The complexity at play between humans and our natural world, however, isn’t very tolerant of certain changes. Old wheat was four feet high with seeds that clung to the stem. They were adaptable and hardy plants. Crop yield was dictated by climate and natural growing seasons. New wheat, however, is dwarf or semi-dwarf varieties of about two feet height, relying on a steady diet of nitrates, irrigation and pest control. This combination means a field can produce 10-fold the yield. Threshing is easier as the grain is exposed and engineered for more expedient harvest. I have a postcard in my office that reads: “Cheap. Fast. Good. Choose two.” Apparently, we chose cheap and fast. In many ways, it was a defensible choice. “Celiac disease is the canary in the coal mine” where wheat is concerned. The bestseller Wheat Belly pivots upon these issues. Most are led to the book by vague complaints associated with ill effects associated with wheat consumption. Davis, a cardiologist, began his own inquiry began as he explored ways to manage his patients’ diabetic issues. Bread, it turns out, has a whopping glycemic index. A glycemic index is the comparative effect of carbohydrates on blood sugar. Table sugar has a GI of 59; a slice of whole grain bread has a GI of 72. The culprit here is the highly digestible carbohydrate, amylopectin A, which Davis says is more detrimental to the body than white sugar. New science suggests avoiding blood sugar surges is essential to good health. A high GI number will spike your blood sugar. Diabetes is providing the clues here. According to Davis, diabetes is “a proving ground for accelerated aging.” Mismanaged blood sugar issues take a hideous toll on diabetics and non-diabetics alike. What you want to avoid are advanced glycation end-products. These are the glucose-protein combinations — useless debris — that muck up the body in just about every way imaginable. Cataracts, dementia, wrinkles, coronary artery disease, cancer, arthritis: glycemic index figures are tied to all these. Wheat is uniquely positioned because of its unique blood glucose-increasing effects to be a catalyst for this laundry list of nasty developments. This, I figured, is how heavy smokers must have felt when doctor’s reversed their opinion on the health benefits of cigarettes. To my mind, there is no greater love story than that of soup and sandwich. I am helpless to resist the plain-spoken charms of the humble muffin. If you go to the gym and wear sunscreen and find a way to hide kale in just about everything your family eats, all of the foregoing would set off alarm bells. And it did. Battle over bread: Are wheat and other grains really anathema to healthy eating? Are grains a nutritional enemy? 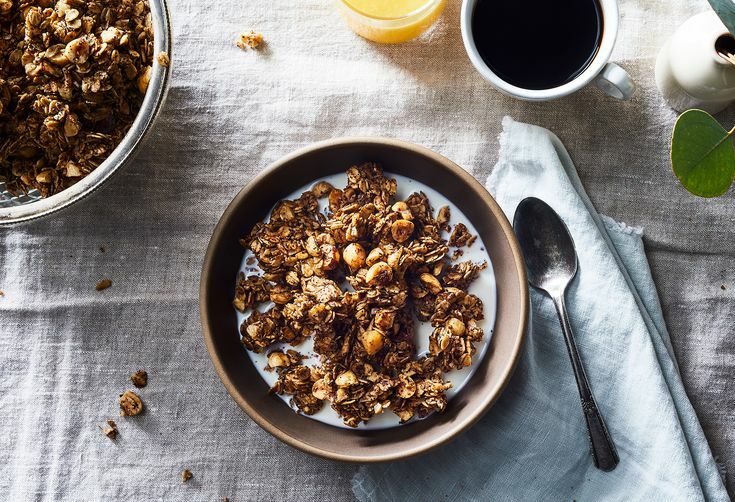 According to one increasingly popular line of thinking, grain-based foods trigger undesirable blood sugar fluctuations, tooth decay and inflammation in our body, which in turn may lead to heart disease, type 2 diabetes and even cancer. Of the grains we consume regularly, wheat and its derivatives have been targeted as being particularly harmful, largely due to the presence of gluten, a protein that is known to trigger serious health issues in those with celiac disease and in those who’ve more recently been identified as having non-celiac gluten sensitivity. By contrast, a second line of thinking argues that it’s not grains, but rather the high intake of animal protein that is the issue with the Western diet, and that a regimen based on whole grains, fruits and vegetables, nuts, seeds, beans and pulses will pave the road to good health. I decided to take up Davis’s challenge. I undertook a season of living wheatlessly. Toast was toast. I started in mid-September. And again in late September. Then in October, in earnest. Giving up wheat is tougher than you might imagine. One miscalculation, one mindless ingestion, one uninformed choice, and I was off the plan. Wheat is everywhere! nobody wanted them. We found most of the Wheat Belly Cookbook baked goods far too sweet for our taste. I experimented with my own coconut flour crusted fried chicken and decided boiled chicken was a better option. Wheat Belly pizza, if you divorced yourself from all previously held concepts of pizza, was a decent vegetarian dish. The cookbook would have you believe that mashed cauliflower duplicates a biscuit crust of a chicken pot pie. It doesn’t. Which is not to say that mashed cauliflower topped with shredded cheddar isn’t tasty, it’s just not chicken pot pie. The Wheat Belly recipes that don’t hinge on wheat flour are completely acceptable recipes, but the baked goods were uniformly not to my liking; nut and seed flours make for leaden baked goods. One way to include allowable wheat-free baking was to get my hands on some non-GMO wheat. I sent away to Heritage Wheat Conservancy in Massachusetts for a bag of einkorn wheat, ground it in my Vitamix and baked a single loaf. Meh. Maybe I milled it badly? Maybe I need to adjust the recipe? I need to keep experimenting, I guess. the body than white sugar. It became a matter of having satisfying alternatives on hand. No doubt you’ll have noticed the gluten-free products flooding the market. Davis expects to see a spike in diabetes from these products as the tapioca, rice, corn and potato starches that replace wheat gluten have sky-high glycemic indexes that will ultimately take their health toll. He’d also advise you to be skeptical of the purported health benefits of whole grains. When we met in Vancouver to discuss his work, Davis spoke of a wide range of food staples that are now subjected to a broad spectrum of chemical- and radiation-based hybridization techniques that are “unleashed on an unwitting public.” His account of the “traditional breeding” methods responsible for Clearfield Wheat had me genuinely worried. But nothing about Davis suggested a strident alarmist. He seemed a soft-spoken, reasonable Midwesterner who had backed into some information he felt the public ought to be aware of, and he was proposing a way to navigate the mess we’re in. Wheat Belly spoke of a wheat-induced mental fog that would lift as wheat cleared my system; unwanted pounds were supposed to fall off; various physical complaints were expected to subside. This was not my experience. I wasn’t looking to lose weight, and I didn’t. Mental fog wasn’t a chronic complaint of mine so I can’t say I was suddenly beset with clear-thinking punditry. My litany of physical complaints remains pretty much unchanged. Improvements, however, are dependent upon one’s personal degree of wheat intolerance and maybe I’m one of the lucky, tolerant ones. I will say that I found my appetite decreased as Davis said it likely would. I haven’t kept up my wheat-less experiment; I miss bread too much. I’ve made several changes, however, but given the complex chemical issues involved with wheat, half measures offer little benefit. I learned a lot from the Wheat Belly books. The cookbook can’t be judged as a traditional cookbook — it fails miserably — but offers excellent suggestions for navigating what’s starting to look like a very serious public health issue. I’m keeping an eye on the earnest young men and women who are trying to bring pre-GMO wheat back into production and I urge you to support them, too. And thus ends my Wheat Belly experiment. I’m going to celebrate with one of the happy adjuncts of my wheatless experience: sorghum beer! Delicious! Trust me.